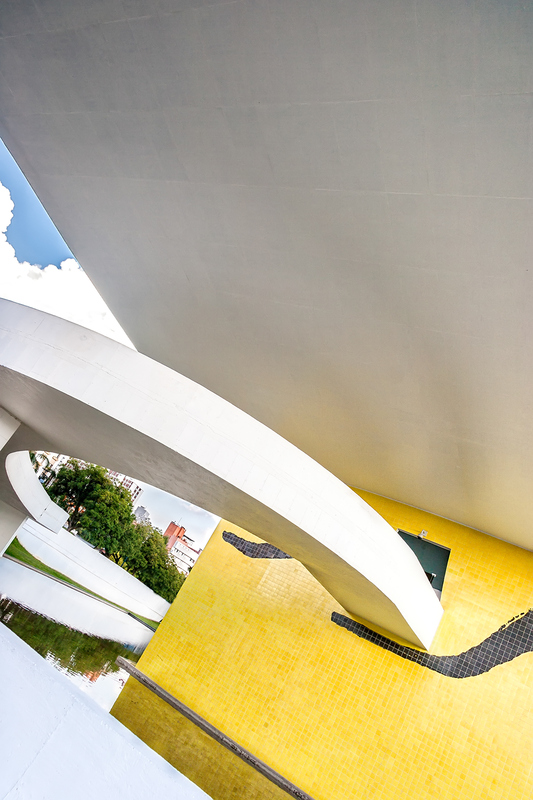 Oscar Niemeyer is one of the most celebrated representatives of Modernism, a movement representing a radical break with the past and the concurrent search for new forms of expression. 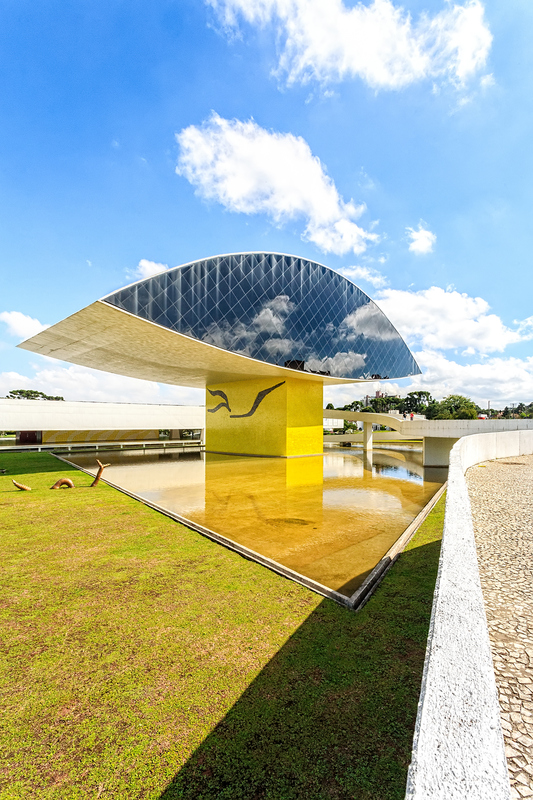 During his long lifetime, he was 104 years-old when he passed away, he designed approximately 600 buildings all over the world. 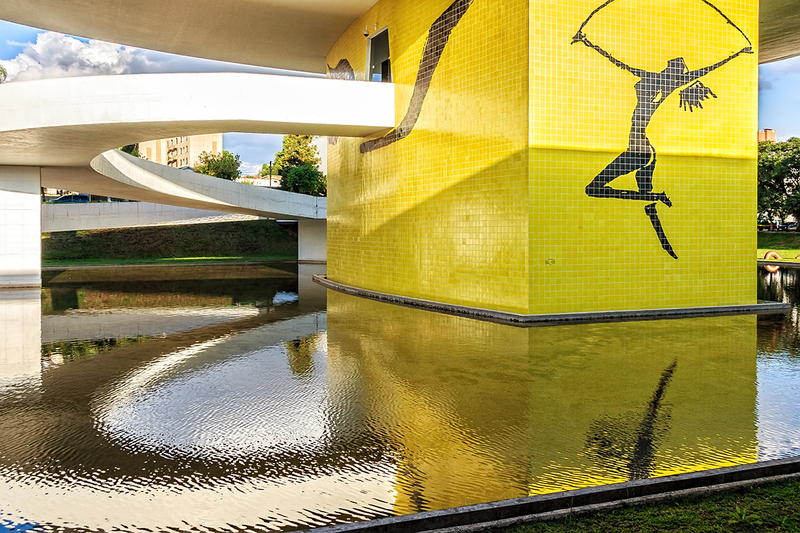 He was mostly known for his bold and futuristic designs of the buildings and monuments of Brasilia, the capital of Brazil since 1960. 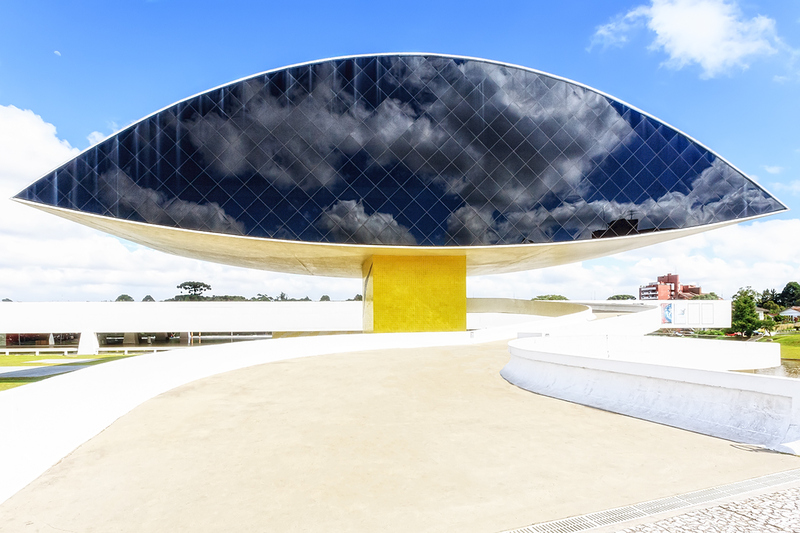 The Oscar Niemeyer museum, also known as "The Eye," is another impressive building that became a symbol of the architect's postmodernist innovations. 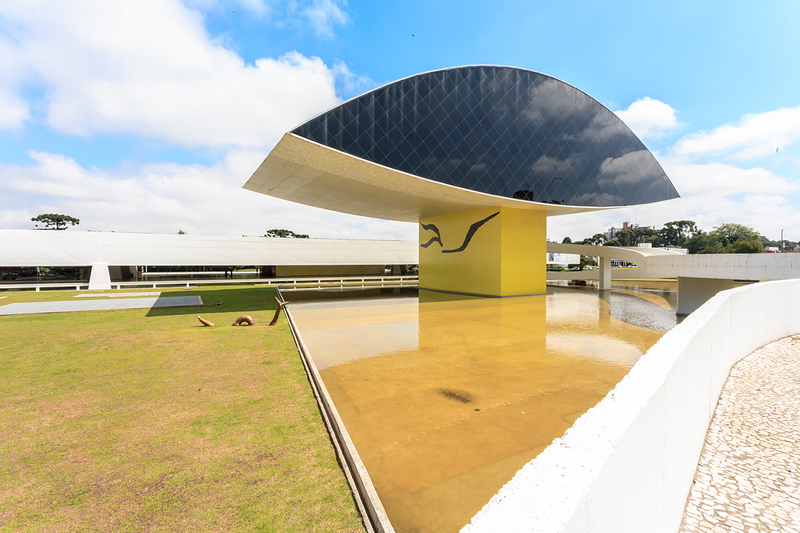 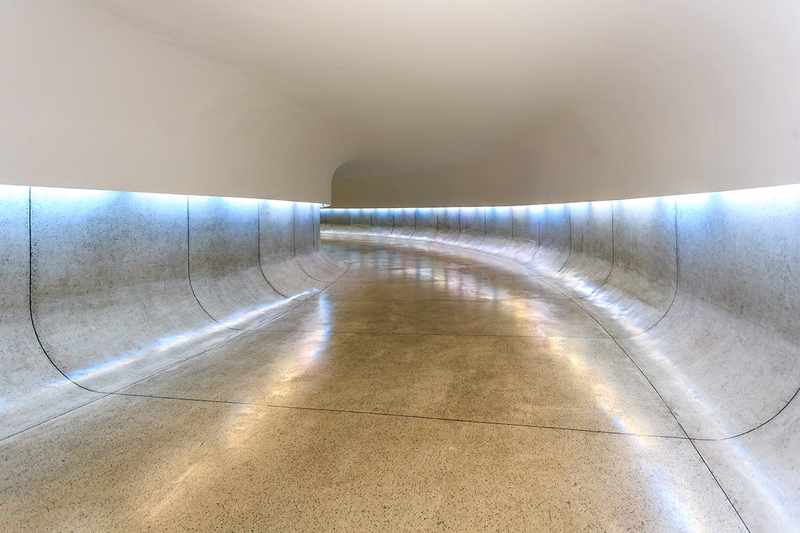 This astonishing building which focuses on displaying all forms of visual arts, as well as architecture and design works, was completed in 2002, when Niemeyer was 95 years-old. 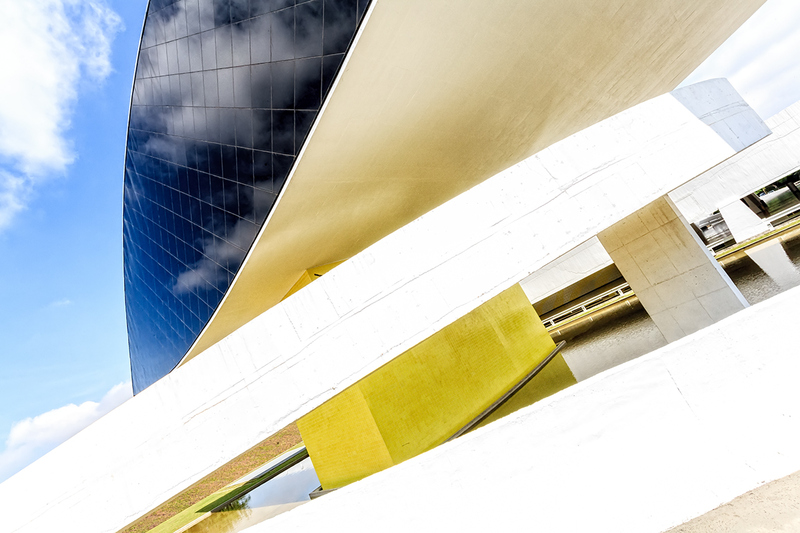 The gravity-defying eye-shaped construction, the geometric forms and the sculptural curves with winding pedestrian ramps are a dream come true for an architectural photographer. 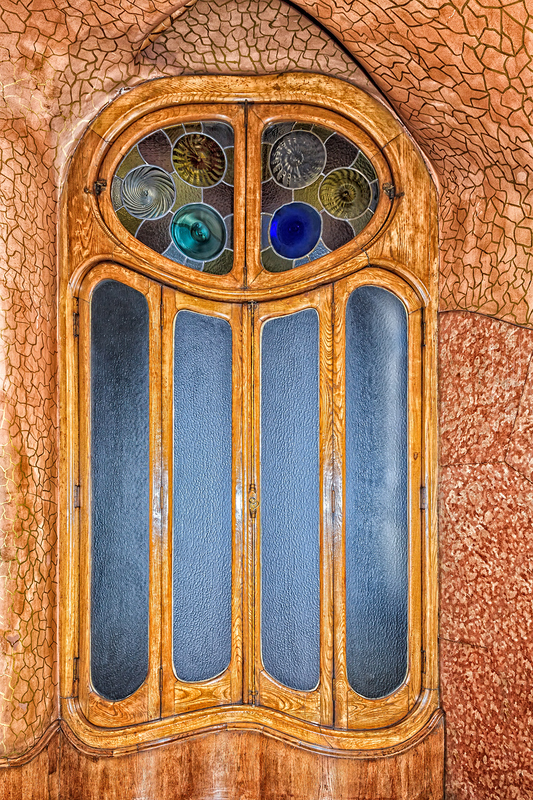 Throughout the years I've must have taken thousands of images trying to capture those gracious movements, and these are some of my favorites. 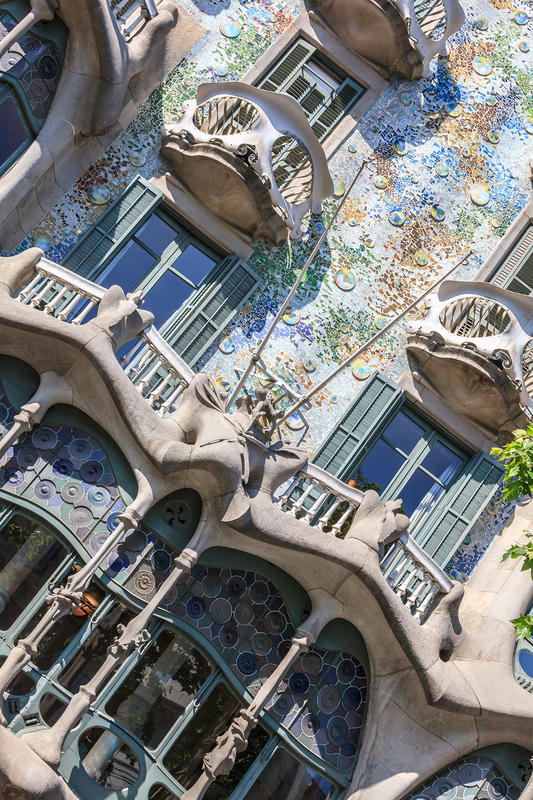 For many architecture lovers Gaudi’s name is associated with the glorious but unfinished Church of La Sagrada Familia (Expiatory Church of the Holy Family), but Antoni Gaudi was more than that, he was one of the founders of the Catalan Modernism. 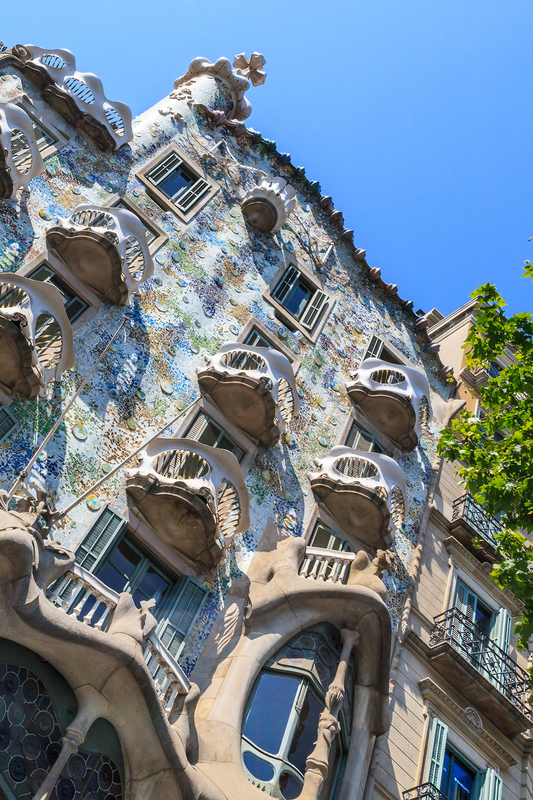 It is estimated that during his lifetime, Gaudi produced 90 projects, seven of which were declared World Heritage by UNESCO. 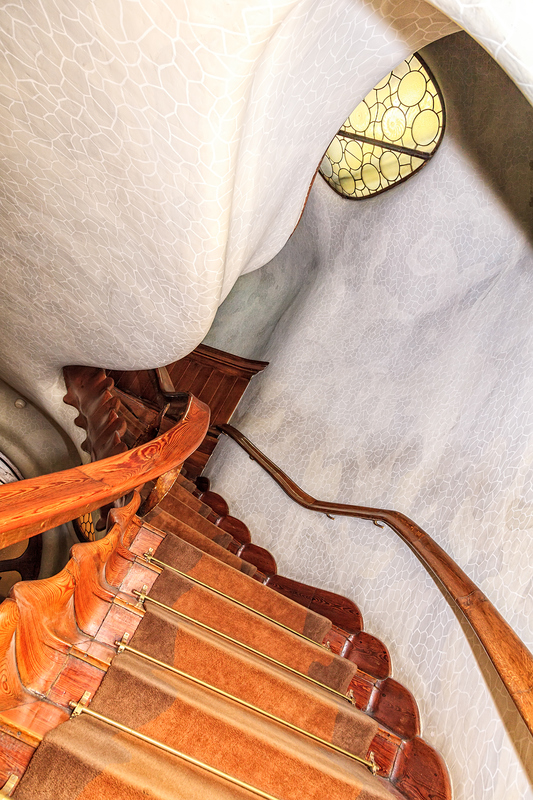 Casa Batlló is one of them; more than a building this imposing house is a monumental work of art and Gaudi’s most poetic and inspired composition. 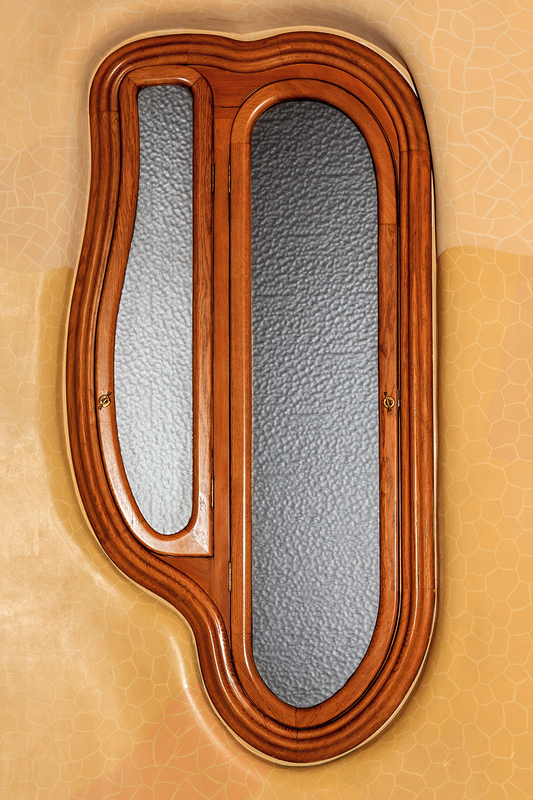 Between 1904 and 1906, Gaudi worked in the renovation of the entire building. 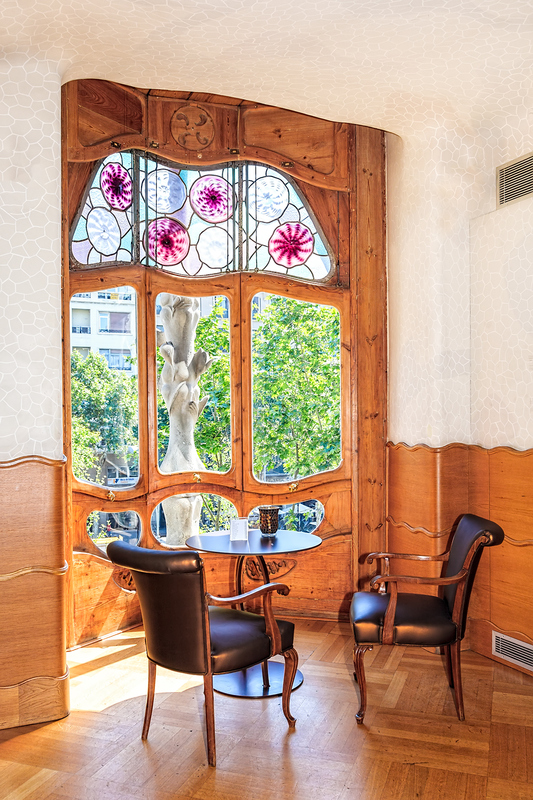 He redistributed the internal walls, incorporated the Art Nouveau decorative accents, and transformed the front of the building into the striking facade we see today. 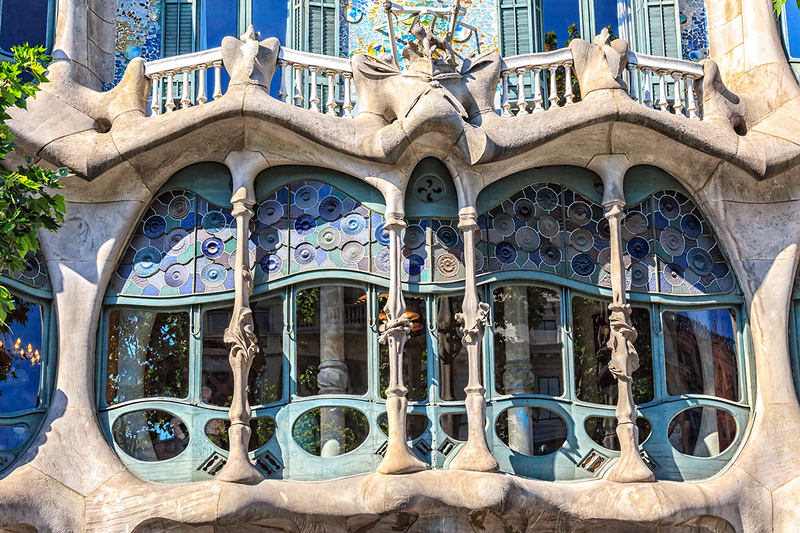 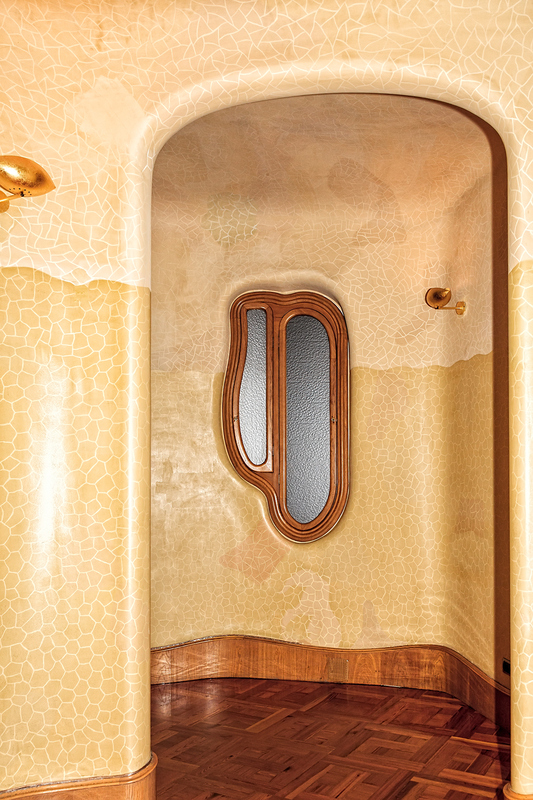 His use of animal shapes, vine-like curves, hints of bone, and lustrous colored bits of glass and glazed ceramic, created a masterpiece that astonishes every person who stands in front of it. 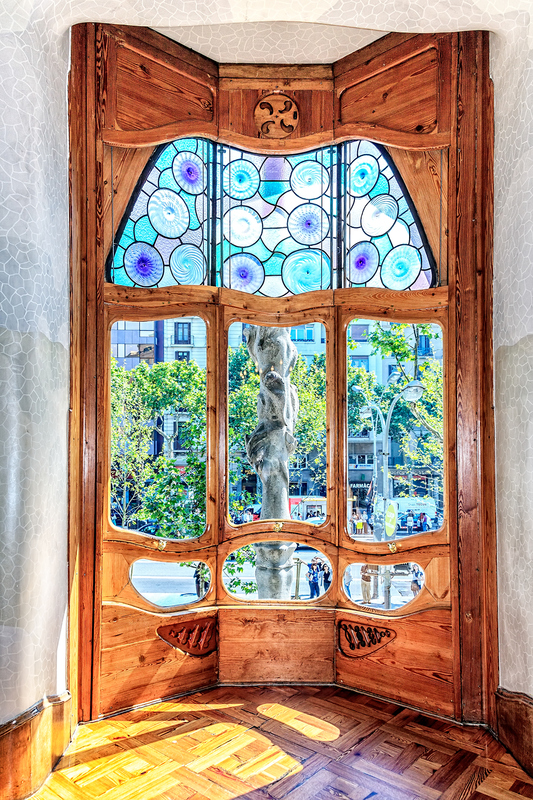 My biggest challenge was to capture all the geniality and poetic artistry of this magnificent house while competing and avoiding intrusions of the hundreds of tourists who visited Casa Batlló that day.